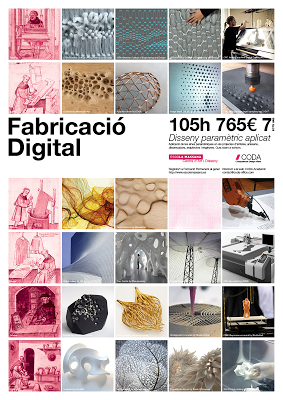 The new realm of digital arts and crafts: a cambrian explosion of processes from traditional techniques through digital crafting, at Escola Massana, the best fine arts school of Barcelona. Application of the digital design and fabrication techniques through tools (software) and technologies (hardware) with the goal to provide an introduction of those tools within the creative and executive process of the different design and arts fields. The course starts from a generic technical and theoretical explanation, focusing on the development of a personal project which will explore the student specific field. 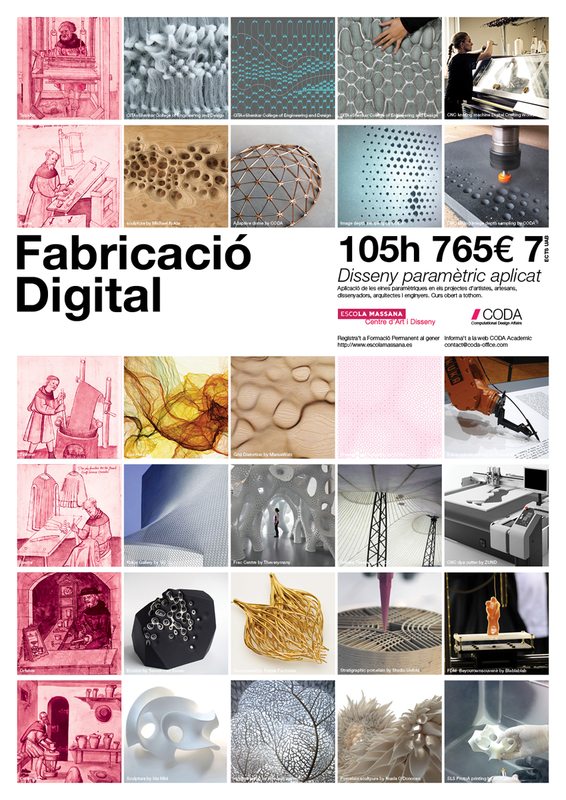 In the new technological paradigm, adapting the new fabrication tools (hardware+software) to master a subject or field, enables the expansion of possibilities, the control, the complexity and the richness of the generation and fabrication process.